Have you ever wondered how our world would work in 10 or maybe the next 20 years? How is human life at that time? Will it be colonized by a machine like the one pictured in the Terminator movie? It could be… But here I will try to describe how our lives will be according to the Japanese government. Why Japan? 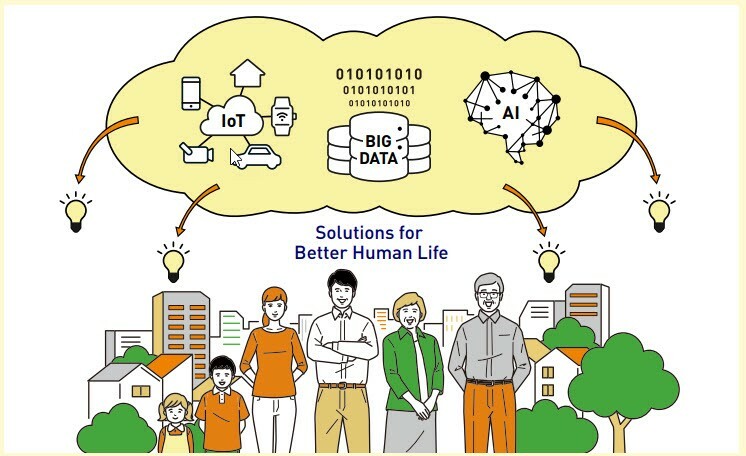 Because the infrastructure in Japan and the development of technology there are very sophisticated, and of course it is very possible to realize ideal conditions where humans can live better by being supported by technology. This concept is named as Society 5.0. Society 5.0 is a human-centered concept of society that balances economic progress with solving social problems with systems that highly integrates cyberspace and physical space. This concept is the 5th step of the road map of basic science and technology. Society 1.0 (Hunting Period) — Humans start making equipment from rocks. This equipment was used for hunting wild animals for food ingredients and the skins were taken for clothing. Society 2.0 (Agriculture Period) — Humans began to find ways to make tools from iron. In addition to hunting, they also began farming to fulfill their food needs. 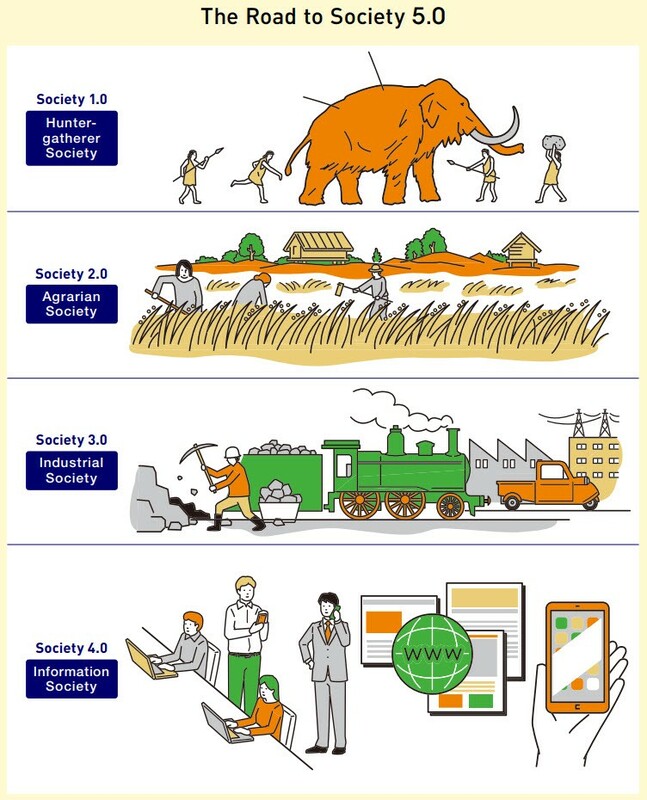 Society 3.0 (Industrial Period) — Humans find ways to work and survive more efficiently by making machines. Transportation equipment also began to develop rapidly in this period. Society 4.0 (Information Period) — This is our current period. All forms of human activity cannot be separated from the data stream. The internet is the biggest invention of this time, continues to grow rapidly, and can not be separated from everyday human life. How Community Live in Society 5.0? 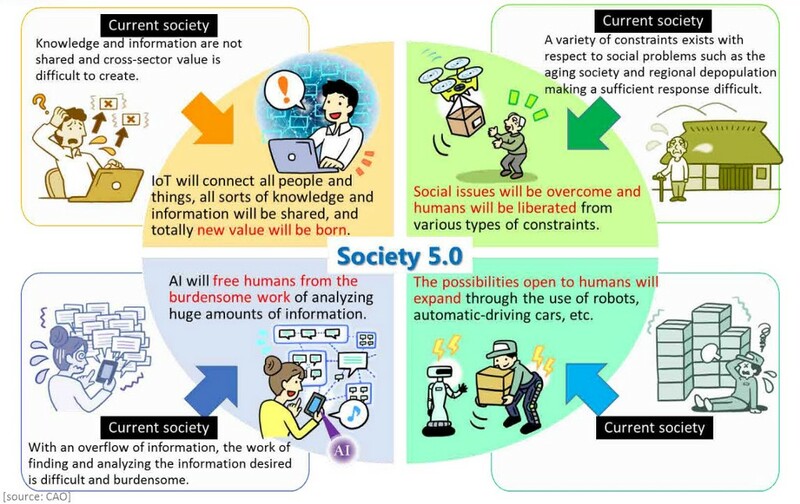 When entering the Society 5.0, all data collected since the Society 4.0 period will be processed and converted into a new form of intelligence by artificial intelligence (AI) and spread to all sectors of people’s lives. Human life is expected to be more comfortable and stable because people will get supplies of products and services at the right amount and the right time. By connecting and sharing medical data that spreads across different hospitals, effective medical care based on data can be provided. Hospitals in remote areas can provide services through the application, so that people who have difficulty going to the hospital can still get health services. Basic health checks such as heart rate checks, blood pressure checks, etc can be done in each home with the help of technology, so that the community’s health is maintained and the human life expectancy expanded. Autonomous vehicles are a common thing to use. These vehicles will help people who have difficulty reaching public facilities such as hospitals, etc. 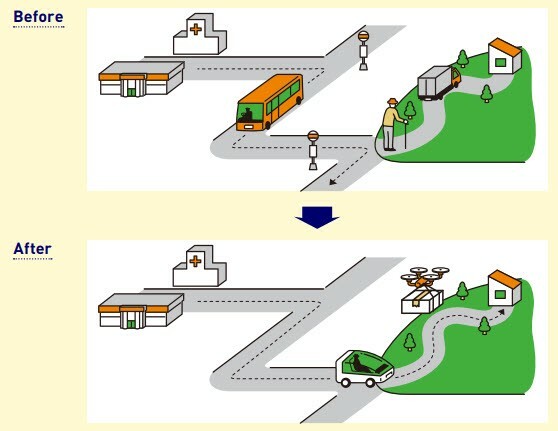 Autonomous cars can take people who cannot drive to get to their destination safely. Also, automatic drone technology makes the logistics process easier and more efficient. 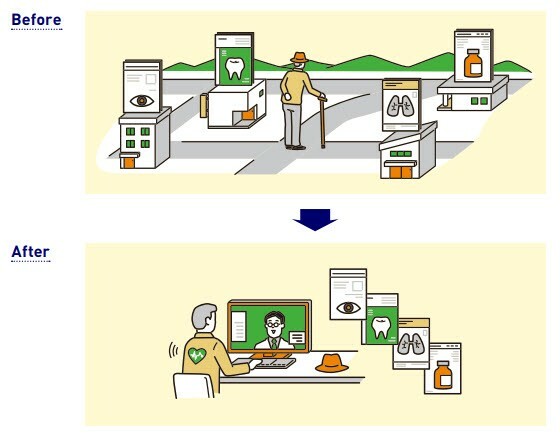 The use of sensors will be common everywhere. 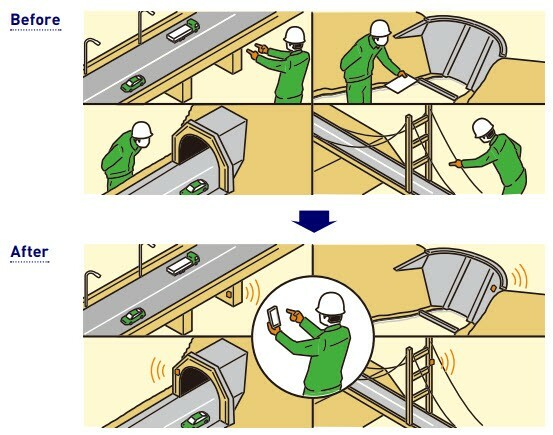 Sensors are placed in tunnels, on bridges, in water dams, and all over across the city. These sensors will count the number of vehicles passing, recording traffic violations, detecting water height, and giving a warning if there are parts of the construction that need to be repaired. Robots and automatic mechanisms are also expected to reduce the risk of accidents and improve safety, efficiency and productivity. 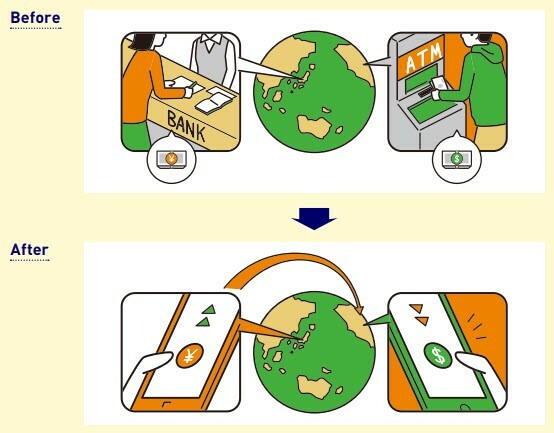 Blockchain technology will be a common thing used in everyday financial transactions. With the implementation of blockchain technology, it is expected to be able to cut transaction time and costs, while increasing security in daily transactions. So it seems we can breathe easier after seeing Society 5.0’s vision. Humans will not be replaced by machines, but humans will become the center of social life and machines will become a supporting system around them. Artificial intelligence will help make alternative choices for humans and humans will make decisions. There will be more option of energy sources that are more efficient and environmentally friendly. Automation in the agricultural sector will increase production efficiency and reduce the problem of food difficulties. In the health sector, there will be more support systems from artificial intelligence and robots so that the risk of accidents and congestion levels can be reduced. In the financial sector, the blockchain will break new ground in carrying out daily financial transactions. Wow, I can’t wait to see our lives later in the Society 5.0 Period. What about you guys? The Future of Humanity and the World of Technology — Society 5.0 was originally published in Data Driven Investor on Medium, where people are continuing the conversation by highlighting and responding to this story.